Porridge is one of the most popular breakfast foods out there. It's easy to whip up, it's filling and nutritious... but it can get a bit boring. Not the cheapest food on the market but for good reason. Nothing on the planet is more naturally endowed with antioxidants. Just a handful of blueberries chucked into your porridge can stall the development of fat cells and bring down your blood pressure. They can even slow cognitive decline. For an extra power boost and easily done if you already enjoy the occasional protein shake, adding a little whey protein to your porridge will ensure you hit your protein targets for the day. Experts recommend consuming 2kg of protein per kg of bodyweight to optimise muscle growth and without adding in little cheats like whey protein this can be tricky. The range of flavours available also means you can enjoy a little extra tastiness in your porridge. 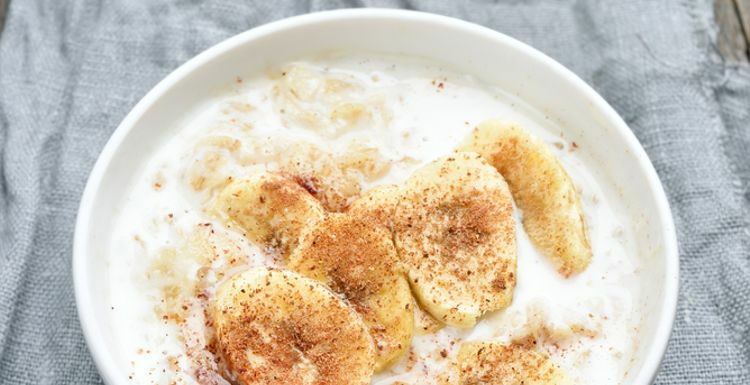 Bananas are the best way of boosting your health and they also add much needed sweetness to porridge made just with water. The potassium, fibre and vitamins in bananas give you a boost from first thing and will keep you feeling full and halt any cravings too. Not only will cinnamon make your porridge taste great, you’ll also benefit from its health boosting properties. Research has found that adding cinnamon to your meals can help reduce your risk of heart disease as it can help to stabilise blood sugar levels. It also helps your body speed up the metabolic rate as which your body can process sugar. Yoghurt is one of those foods which anyone who is into health is obsessed by. It fills the need for creams and ice creams and it’s perfect for adding to porridge to give it a creamier texture. What’s more you can get yoghurts now which are packed with extra protein, such as the Arla range. These allow you to get ahead of the game on your protein intake before you’ve even thought about lunch or dinner. I buy frozen blueberries and these melt really quickly in porridge. I also never use the microwave. Stove top, quick soak in water and it's easy to wash. Almost any meal can be made better with cinnamon so it's good to know it has its health benefits too! not a hot day food, but on other days (most of them!) porridge really does work for breakfast as I don't get the 11am munchies. Two mins in the microwave, job done!